It turned out better...Hope you enjoy my second video! 1 ~ 8 1/2" x 5 1/2" Rose Red cardstock (102544) - scored and folded in half to make a 4 1/4" x 5 1/2" card once folded. 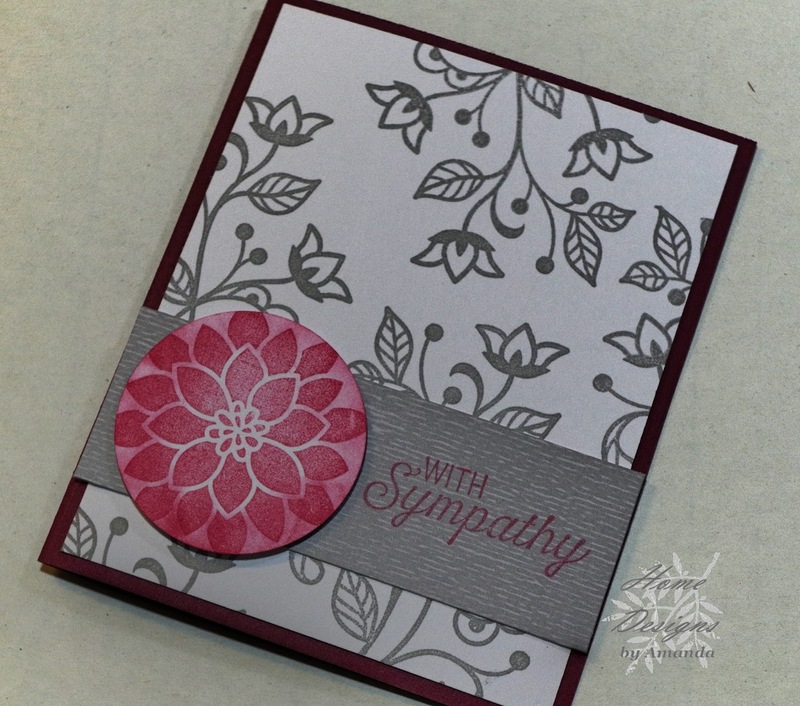 Please come create with me at Stampin' Up! Find me, Amanda Dickson - PA, in the Demonstrator Directory when you head to the store to go shopping! So, how did I do for my first card video?